I was really curious about Postpartum Binding this time. I don't really know why I was so curious... I was way less concerned about postpartum appearances this time. I think it was just because I was really curious about all things pregnancy. While pregnant I tried to do research on the subject. Its really hard to do. There isn't a lot out there. So the fact its been around so long, and across so much of the globe made me think there is probably something to it. The general idea is that binding the belly can help the uterus shrink back down, help the flush out postpartum blood, and give some added support during recovery. I asked the two gurus of my latest pregnancy (my midwife and my prenatal chiropractor) their thoughts on belly binding. And I got two different answers. My chiropractor was in favor of belly binding, but only for two weeks. ---After my first was born via c-section, the hospital gave me an abdominal binder to help aid in recovery. But I basically hated the thing if I wasn't standing. I refused to wear it while sitting because it would kinda bend and fold, and end up wedging itself into my incision. I tried wearing it again later on once my incision was more healed, and I still hated it. So I just wore it on walks for the first week or so. And then it collected dust. ---After my second was born, I was kinda doing an experiment (an unscientific one) to see what the binding fuss was about. But I also read a lot of women talking about how stiff it is, and yet how it still kind rolls up and misshapens. Then it dawned on me that I have that old hospital issued binder, so I pulled it out. And yep. Just like last time, I loved the feeling of it the first time I strapped it on. Instantly stronger and more upright. And this time I could wear it sitting down, which also felt great. As I've mentioned in other posts, after my c-section, I wrongly assumed there was an instant recovery from vaginal birth. After my VBAC, I was really surprised at how fatigued my abdomen was. Of course it makes sense, it just did a major muscle workout --- contracting for hours to press a baby down and out. But I guess last time I figured my belly was just sore from surgery, not giving any credit to all those contractions I had before hand. So I found having the binder on to be a really nice support while my muscles took a breather after birth. I felt like it helped me to sit upright, instead of totally hunched over. And both in the physical (literal way), but also very much in the emotional way, I felt that it just made me feel more pulled together. I wore my hospital binder a lot during the first maybe three weeks, and on and off again a tiny bit later on. I will say the longer out I was from birth, the less I liked wearing it. It didn't feel helpful anymore. I was kinda just trying it to see what it might do as far as getting me back in my pants. Edit in 3/4/15: I am now in my third pregnancy and I have noticed that I have diastasis recti, which is the separation of the abdominal muscles -- something that is not uncommon in pregnancy. Having begun to look into this for my future recovery, I came across this very helpful video explanation (found on this page) on why binding (they refer to as splinting) can be helpful while healing your transverse abdominis, in the beginning, as one part of the overall recovery process. As far as how to recover: I have been reading GREAT things about a recovery program for mothers call MuTu (which stands for Mummy Tummy, if you are wondering) which helps to lose the baby weight, improve pelvic floor function, strengthen your core (regardless of if you have a diastasis recti or not --- after pregnancy you need to strengthen your core again) and get strong, fit and truly body confident. And it’s all done in a very do-able mom-able time table. The initial workouts are only 15 mins long (good for fitting in at nap times) and the more advanced workouts later on are just 20 - 25 minutes. 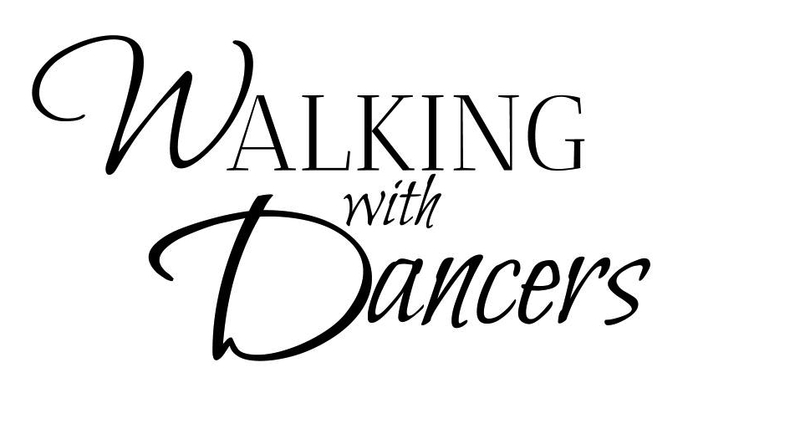 I’m pretty sure I will be looking into this program for myself, and if I do I will blog about it later on when I can speak of the results -- for now you can look around the web and see mommas sharing their stories. But honestly, I don't think it does too much. Your uterus shrinks close to pre-pregnant size by 4 weeks, and by 6 to 8 weeks it should be its old size again. But after your uterus shrinks back into your pelvis, women tend to look somewhat pregnant for a while longer. That's because your abdominal muscles get stretched out during pregnancy, and it will take time – and regular exercise – to get your belly back in shape. A binder is just pressing your belly inward, its not training your muscles. In fact its taking some of the work away from your muscles. (Which is why my chiropractor didn't want you wearing it very long, and my midwife doesn't even suggest it.) You will need to train your muscles while wearing a binder (or splint) and afterwards to be able to support your midsection on it’s own again. The Belly Bandit's website says it helps minimize stretch marks. I literally laugh every time I read that. I have no idea how that's possible. A stretch mark, is a stretch mark, is a stretch mark. I don't know why a belly binder, worn after the mark is formed, would do anything! I think that claim is there purely for entertainment purposes. I think it feels great at first, and can be helpful initially. But is not worth spending tons of money on. I think its very comfortable. It stayed put for me really well this time. It has nice stretch to it, so it feels like you have it at the right size whether standing or sitting. Its easy to put on, and will fit through the endless size shifts, because you can just keep tightening it. AND the best part, its cheap! And if not, you can buy one online for around $15. Mine was a MediChoice Abdominal Binder - 9" wide, made up of 3 Panels. Mine's the the bigger size: 46" to 62". Which was much too big this time, but I just wrapped it overlapping, around itself, until it was tight. That worked fine. (And maybe the extra wrapping helped it stay put better this time?) So I don't think you need to stress over exact sizing. Just made sure it will wrap at least once. If you are wanting one, you can click the link above to find a site that sells them. But, really, I think any stretchy hospital type binder you can find online would suffice. And if you are ambitious (and not overly concerned with stretchy comfort) you can just use a long piece of fabric and wrap away. I didn't try this personally. It looks like the last thing I want to have on right after having a baby. But its very traditional, and its cool to see. And you can see my post on Postpartum Hip Binding here!! Did you ever do a post on postpartum hip binding? I have seen several ads in my pregnancy magazines that have made me curious, but I'm interested in actual research or results. Thanks, this has been the most helpful post on postpartum binding I've found. I have found mostly advertising and the recommendation for the really expensive products that have mixed reviews. I had a C-section and was way too uncomfortable to wear my spanx-like product much in the first two weeks. It was recommended by a girlfriend who said she'd used it with her 2nd and was back into her clothes and back to pre-pregnancy size in 2 weeks--1st she never got to pre-pregnancy size. Now I'm 13 mos post preg and still have a flappy tummy so maybe I'll try the medical one at night when I wouldn't be lifting anyway--that was a good point to consider. I just gave birth to my second baby July 16, 2013 and have a 7" separation of my abdominal muscles. It was so bad that I could actually see the shape of my uterus and intestines through my thinned skin! My stomach could star in a horror film. I used a belly binder that my physical therapist recommended after the birth of my first baby (then only a 3" seperation). I put it on at the hospital before I came home. Within a week, the binder was already too big, plus it itched terribly. I upgraded to my "Squeem", a wonderful invention from Brazil that is basically a corset but it's the best undergarment I have ever bought! I had my seamstress sew "bra extenders" onto the hook and eye closures so that it would fit my post pardom belly (it's supposed to fit me at a size 8, which I am so NOT right now). 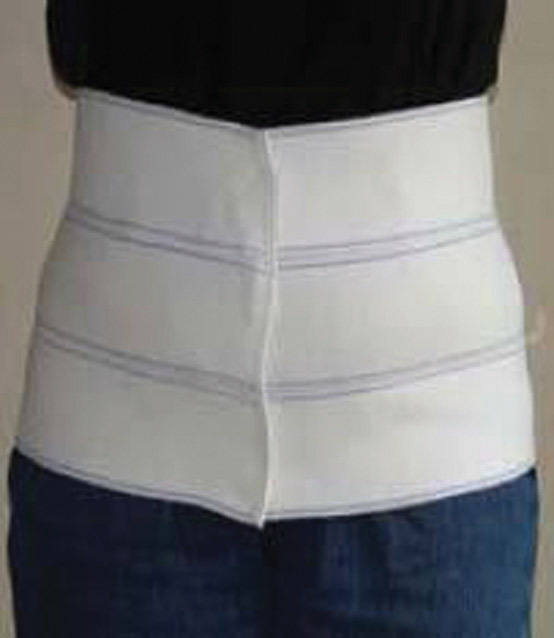 It gives significant support and squeezes my waistline so I can fit into non-maternity clothes. I highly recommend buying a "Squeem" and using the extenders until you lose weight. It doesnt roll down or itch (made of cotton and natural rubber), plus hides back fat :-) You can find it on Amazon for about $50-$80 depending on vendors. I'm slowly working my way through the rows of hooks/eyes, getting smaller every week. I would say I went from a size 16 out of the hospital to a size 10 now. Once I'm fully recovered, I can cut the extenders off and still use it as a regular corset. Love it! I do my physical therapy exercises with it on. FYI, with severe diastasis, my physical therapist said doing abdominal exercises like sit ups is actually very harmful and should NOT be done without a brace. So, I totally disagree with other people's comments about how a brace minimizes muscle recovery. Plus for me, it protects my exposed intestines from my 2 year old's playful kicks or my husbands tight squeezes. Before I left the hospital, you could literally put a fist into the hollow of my stomach. Now I feel strong enough to carry the pumpkin seat with my baby in it! I'm wearing it every day until my separation closes. I also see a physical therapist once a week and follow her exercises too. Hope this info was helpful! Take good suggest about your post baby stretch mark. Are you planning to cut that extra fat from your tummy? Now would be a good time to do it as summer is just around the corner, which means less clothes and more body exposure which means you can’t hide that little tummy hanging in front of you under a coat or a sweater anymore. Simply contact the spiritualist Dr Eka on (dreka14demons@gmail.com) to get his Herbal Medication to cure your disease and put yourself on a motherhood side of life.. Thanks for your valuable information, you are so creative and your services are so good but I think you need some Changes of your girdle. See our product Best Postpartum Girdle is more comfortable and effect able for women, we are provide so many types of girdles and also pregnancy support belt our all girdle quality is best and it checked by our Expert teams. I was 41 years old and every doctor said I could not get pregnant with my own eggs. But, Priest Eka(dreka14demons@gmail.com) disagreed, and gave me hope with his Herbal medication. And, amazingly at age 43, I now have a beautiful healthy baby boy and baby girl! Never You doubt priest Eka herbal medication! Thanks for your valuable information, you are so creative and your services are so good but I think you need some Changes of your girdle. 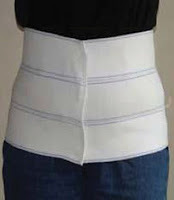 See our product Postpartum Belts is more comfortable and effect able for women, we are provide so many types of girdles and also pregnancy support belt our all girdle quality is best and it checked by our Expert teams.